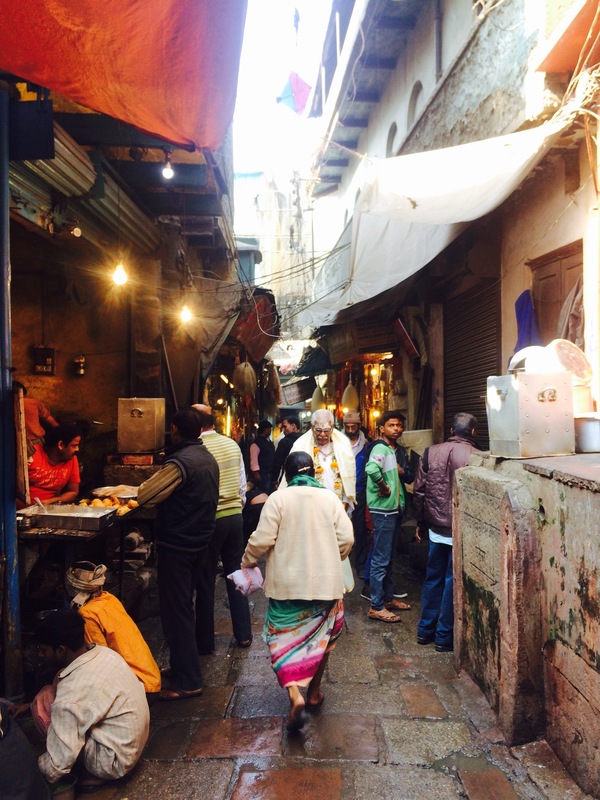 Banares, as Indians call it, or Varanasi is a city that lies directly at the Ganges river, a holy city for pilgrims. 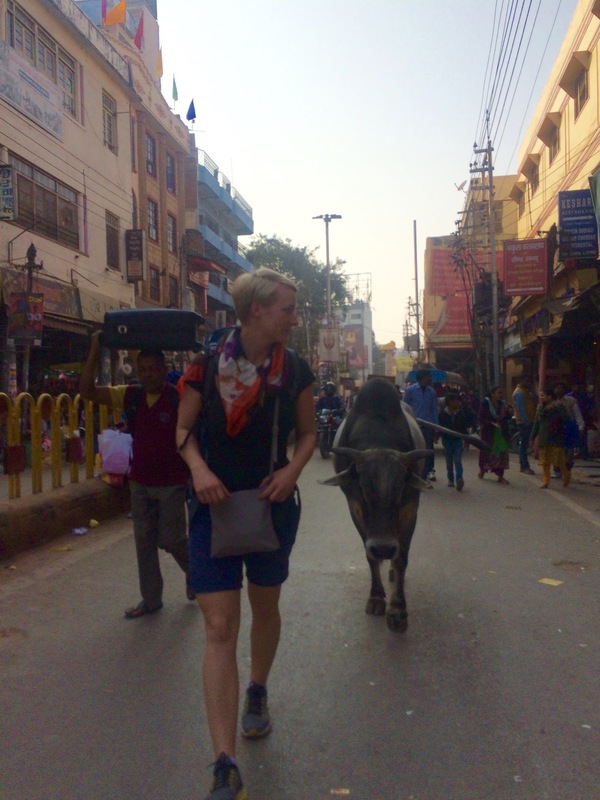 I really thought this bull & I had built some raport walking down the streets side by side. When I was ready to pose with him for a pic he became a little unhappy and made moves to bump into me…I guess I should have paid him for that pic?! 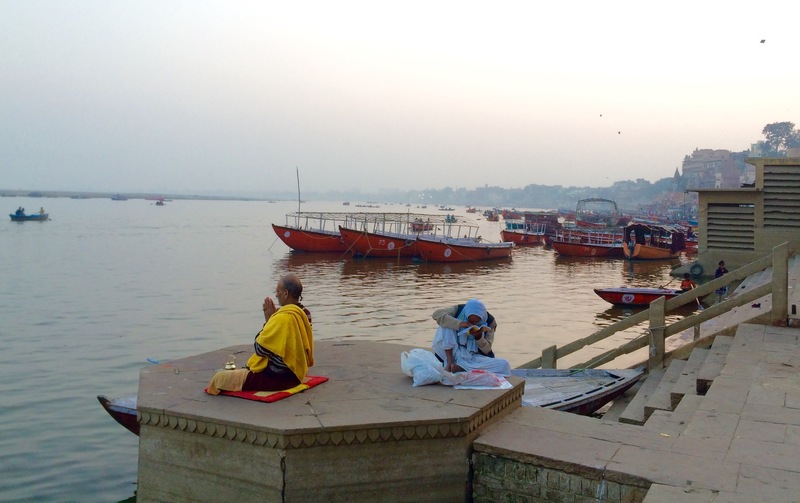 Right by the Ganges at dusk you see many people pray, meditate and bath. It is a quiet place, after the wedding excitement it calmed me down. The bodies, wrapped in a golden foil, are carried towards the river bed and bathed. Meanwhile, there is a fireplace prepared for them onto which they are laid. In this picture you can see multiple fires cremating Hindus. Across the entire area there were groups waiting in line for their cremation. I also had a fresh coconut again, I cannot get enough of less that a dollar coconut water. Once you’ve drank the water they crack it open for you to eat the meat. 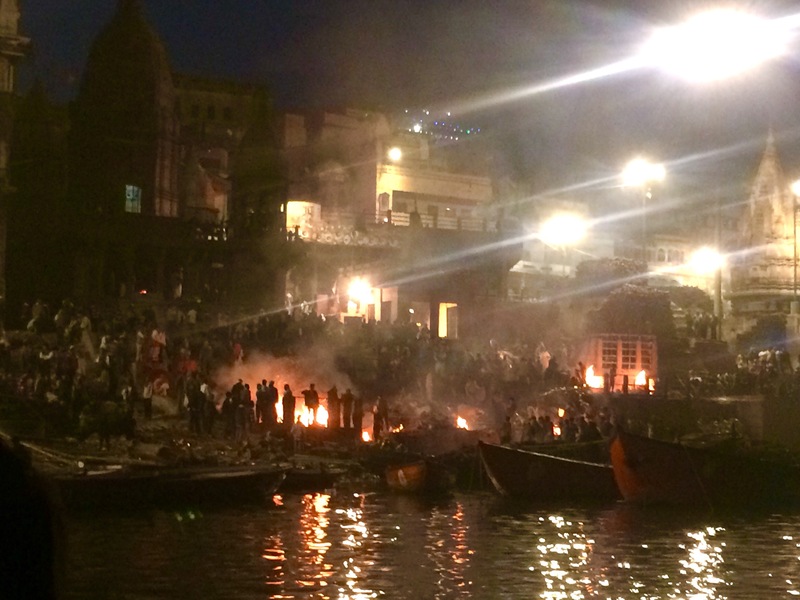 This entry was posted in Connecting Worlds, English Version, Neues von Tooi, Tooi´s Reisewelt and tagged ganges, varanasi by franziskaschwarzmann. Bookmark the permalink.